Place the sweet potato, spring onion, chilli, egg, salt, pepper and sesame oil in a large bowl and mix to combine. Heat the vegetable oil in a large non-stick frying pan over medium heat. Add the sweet potato mixture, flatten and cook for 6–8 minutes. Carefully turn out+, return to the pan and cook on the other side for a further 6–8 minutes or until golden brown and cooked through. 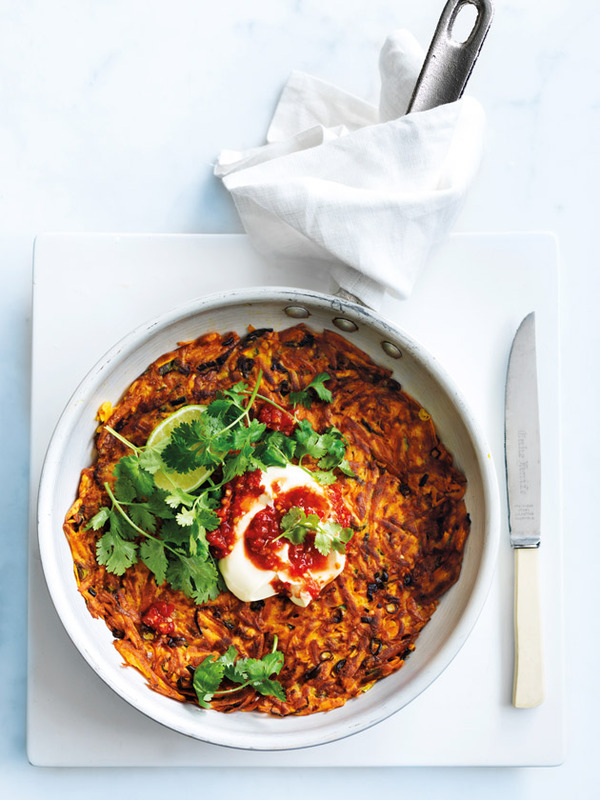 + To turn out the sweet potato hash brown, place a plate or round tray on top of the frying pan and flip over. Slide the hash brown back into the pan.